Contrary to popular belief, and despite their lovable artwork, Brighton's Black Honey are in fact real living breathing people, and not an inanimate Television device like was once thought. Look at them, all up there enjoying the hazy sun. It's probably for the best they've finally revealed their jolly little faces having played their first ever live show tonight in their hometown. Here they return with a stream to the final track off their debut EP (which is currently nameless) rounding up what's been a fantastic year for them. 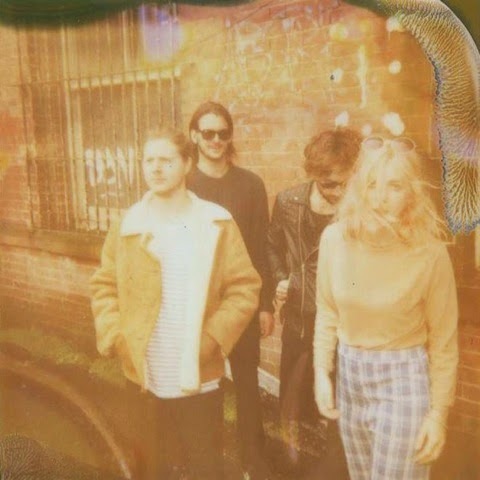 In such a short space of time Black Honey have sprawled on to our radar in the finest of fashions, Bloodlust proving to be another compelling effort as it unravels before us with slacker guitars rhythms and feisty vocals aplenty. The perfect amount of pizazz to carry you off in to the weekend! You can check out the previous cuts streaming below. The EP will be available only at live shows in limited physical form.